I was born and raised in Oak Ridge and always thought I would be an engineer. I attended Georgia Tech to pursue a degree in Chemical Engineering, but by my senior year I knew that was not how I wanted to spend my life. I finished my undergraduate degree at Georgia State University. A few years and a few different jobs after graduating from Georgia State University, Dr. Watts says, “I literally tripped across chiropractic.” I really didn’t know anything about it, but I fell in love with the philosophy, “The power that made the body can heal the body, as long as it is free from interference.” I often say that chiropractic “chose me.” I enrolled at Life Chiropractic College and graduated in 1981. During his four years at Life Chiropractic College, courses included biochemistry, anatomy, human physiology, diagnostic x-ray, differential diagnosis, chiropractic adjusting techniques and patient care in the Life Chiropractic College Public Clinics. 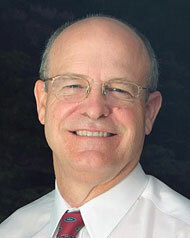 After graduating in 1981, Dr. Watts returned to Knoxville where he established his practice. In 1987 he moved to his current Maryville chiropractic office located on West Broadway. Dr. Watts has a passion for learning and attends multiple continuing education courses each year to provide improved service to patients. Dr. Watts and his wife, Linda, have been married since 1981. Dr. Watts enjoys travel, wildlife photography, reading (his current favorite book is “Flourish”) and his pet ferrets. Always one to practice what he preaches, Dr. Watts gets a chiropractic adjustment at least once a week. He also enjoys speaking to patients, groups and organizations about ways to live a long and healthy life without unnecessary drugs and surgery. Call Watts Chiropractic Center today!